Greece is one of the most historically significant countries in the world. It is home to many of the philosophies which became the foundation of many political, economic, and social systems around the world. In the modern day, Greece is renowned for its breathtaking sights, delicious food, and relaxed Mediterranean lifestyle. Canada is home to over 250 000 people with Greek ancestry. Naturally, this large population of Canadian Greeks results in a frequent exchange between Canada and Greece at the corporate and personal level. Every year, thousands of Canadian documents are used in Greece from birth certificates and marriage certificates to corporate powers of attorney and financial letters. For these documents to be valid in Greece, they have to go through a process of validation so authorities in Greece know that they are legitimate and authentic documents. You may have heard of the apostille process of verifying foreign issued documents. Greece and dozens of other countries use this process but Canada does not. This is because Canada has not signed the Hague apostille convention like Greece and these other countries. Instead, Canada uses the original process that was in place before the apostille convention. This is a two step-process known as authentication and legalization and it is equivalent or equal to an apostille. 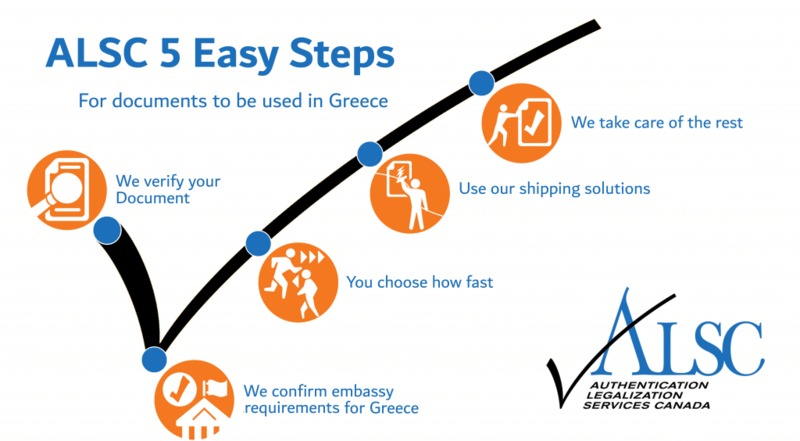 If you have Canadian documents that need to be used in Greece or elsewhere around the world, they will have to go through this process to be valid for use there. Authentication and legalization is simple. It involves verifying signatures on Canadian documents. First, your Canadian document must contain a signature recognized by Global Affairs Canada so they can authenticate it. This signature can be from a notary public, lawyer, select members at the RCMP, and the signatories at provincial vital statistics departments across Canada. Once your document has been authenticated, it then needs to be legalized at the consular section of the Embassy of Greece here in Ottawa. The consul examines your Canadian document and checks the authentication stamp, seal, and signature from Global Affairs Canada. They will then place their own stamp, seal, and signature which legalizes your Canadian document and makes it valid for use in Greece. This seems easy but there are multiple requirements that need to be met at each step and processing times which can drag this process out for months. Global Affairs Canada have requirements that need to be met and any documents they receive by mail can take them up to 20 business days to authenticate excluding the shipping time to and from their office in Ottawa. The Greek embassy also needs a series of requirements as well as fees which can change frequently along with their processing time. Delays at this stage are incredibly common, and it is often very difficult to resolve any issues that may arise as agents at Global Affairs Canada and consular staff at the Embassy of Greece are consistently occupied with other such inquiries. Given that the processing time is lengthy and the likelihood of delay is high, authentication and legalization is actually a very difficult process to go through without assistance. Thankfully, there is a way to significantly reduce this processing time and minimize delays. Authentication Legalization Services Canada; we are the first company to provide this service and helped our first client process their Canadian documents for international use over 25 years ago. 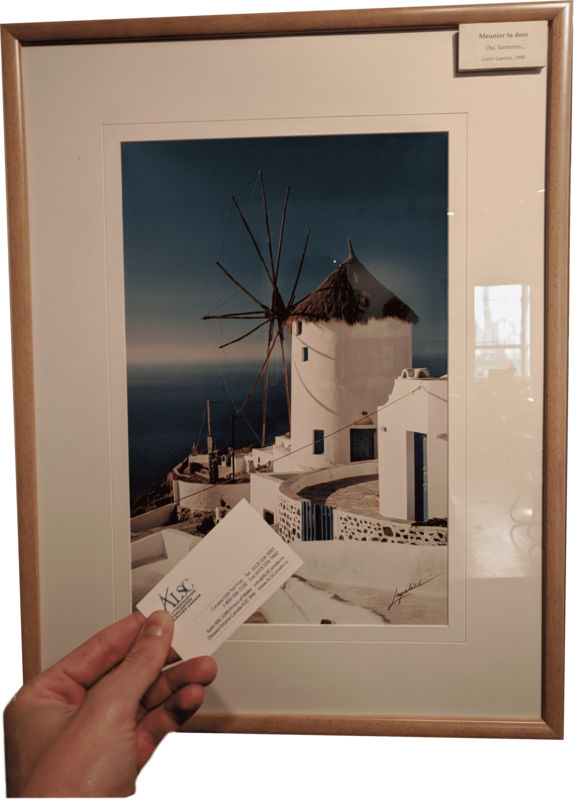 Since then, we have processed thousands of Canadian birth certificates, marriage certificates, certificates of incorporation, articles of incorporation, and corporate powers of attorney for use in Greece and over 100 other countries. Our services can save you up to 20 business days of time and the processes we have developed have become the industry standards. On our priority same business day authentication service your documents are presented to Global Affairs Canada by one of our agents the same say they arrive in our office. We also offer a standard 3 business day authentication service which matches speed with affordability, and an economy 10 business day authentication service ideal for those looking to process numerous documents on a budget. Either way you save time and get the ALSC guarantee: we ensure your documents will be properly authenticated and legalized for the country in which they will be used. As our client you will have your own agent assist you in preparing the various requirements for authentication and legalization. Once we have received your documents and any associated requirements you will receive updates at every step of the process and our agents will be here at all times during our office hours to answer your questions and address your concerns. When your documents have been completed we can send them anywhere in the world via FedEx, UPS, or another one of our trusted shipping partners. If you have Canadian documents for use in Greece, don’t risk missing your deadline, contact us now. Feel free to continue reading for more details on Canadian documents commonly used in Greece. Canadian vital statistics documents include documents such as birth certificates, marriage certificates, and death certificates. These are some of the most commonly requested documents for use abroad for purposes relating to citizenship, employment, marriage, and inheritance. They are issued by the vital statistics department of the province where the life event occurred. This can sometimes be confusing, as sometimes the church provides a marriage certificate of their own, and likewise the funeral home usually provides some sort of death certificate or related document. Neither of these are valid for authentication at Global Affairs Canada even if they have been properly notarized by a Canadian lawyer or notary public. Canadian vital statistics documents do not require notarization since they are issued with signatures that are recognized by Global Affairs Canada which makes them valid for authentication the moment they are issued. However, this is not true of all Canadian vital statistics documents. For example, birth certificates are usually issued in long form or short form and short form vital statistics documents such as wallet sized birth certificates are not valid for authentication at Global Affairs Canada. As such, if you have a short form vital statistics document, you can either make a notarized copy or choose to get a new long form version from the appropriate vital statistics office. For birth certificates, these may be referred to as a copy of an act of birth or a registration of live birth depending on the province it’s from. We strongly recommend you do the latter, as originals are always preferred for processing and there are many cases where short form vital statistics documents will not be accepted by requesting parties in Greece. Furthermore, ordering a new long form version of your Canadian birth certificate is often less expensive than making a notarized copy of your vital statistics document. Another advantage is that you can have your Canadian vital statistics document sent directly to our office to begin processing and save you time. Many of our clients choose to do this and we recommend you do the same. Make sure you let us know before doing this! Refer to the helpful links below to order your Canadian birth certificate, marriage certificate, or death certificate for use in Greece. Authentication and legalization can take a very long time. In our modern world, time is more valuable than anything. Indeed, the time spent learning all the different requirements, fees, and processes within authentication and legalization are almost always not worth it. Chances are you have your own important work to attend to and you will quickly find that learning this complicated process is not worth your time. This is exactly why thousands of Canadians choose us every year to take care of their international document needs. Our A+ rating with the BBB, notable membership with the Canadian Chamber of Commerce, and numerous 5-star ratings on Facebook and Google make it clear that we are the best in our industry. Not only that but we are also the most accessible. In recent years we have worked hard to find ways to make this service more convenient for our clients. One of the ways in which we have done this has been by opening over a dozen service centers across Canada. These allow you to skip waiting in line at the post office and save you money on shipping: if you drop off your documents at our service center, they receive free shipping via FedEx to our head office in Ottawa for processing. Make sure you have called our head office to make an appointment beforehand. Without an appointment we will not be able to accept your documents. Once we have finished processing your documents, you can choose to pick them up at any one of our service centers and receive free shipping via FedEx again or have them sent elsewhere in the world at a small additional cost. Always remember our team is here to help you with your document needs. Trust the experts in Canadian documents for use in Greece. Click below to experience a service quality unlike any other.